Agnes Martin (1912-2004) paints the light. She is more zero than any Zero artist and it is not for nothing there is a revival of interest for her work. She personalized and expressed in her life and works the human struggle with mind chatter and the overload of worldly noise and information coming our way each day. Her quiet and serene paintings are the result of her personal and spiritual seeking for an untroubled innocent mind. She could sit for months waiting with a calm and vacant mind ready for inspiration to guide her. 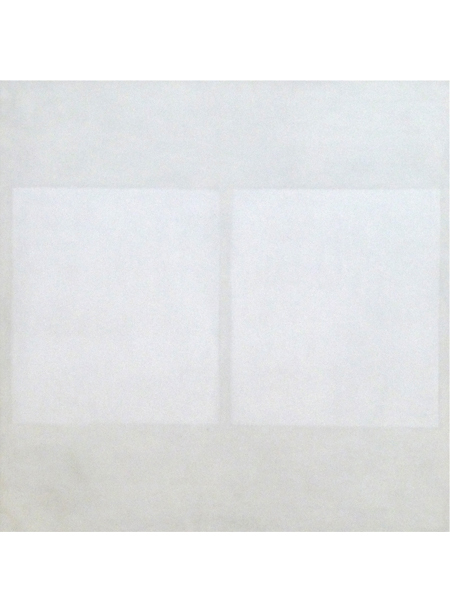 Martin admired Mark Rothko’s work for having “reached zero so that nothing could stand in the way of truth.” While Rothko became darker and darker in his paintings, Agnes Martin’s paintings became more and more luminous. She imagined people could view her paintings for 10 minutes upon waking up each morning, to begin the day buoyantly. Her work is pure bliss.